Ruché is bright, floral, deep.. nothing like a snake’s blood.. I normally feel stupid asking winemakers technical questions. Like it would make any difference in the pleasure I take from the wine. But this time when I’m visiting Castagnole Monferrato, to the north of the town of Asti, I make an exception. Because this time I tasted some wines from the obscure Piedmontese grape variety called Ruche that made me ask questions. Man, how do you make it? Are those vineyards on the slopes? When did you start? Finally, what’s the secret behind this intriguing aromatics? How did it get this way? 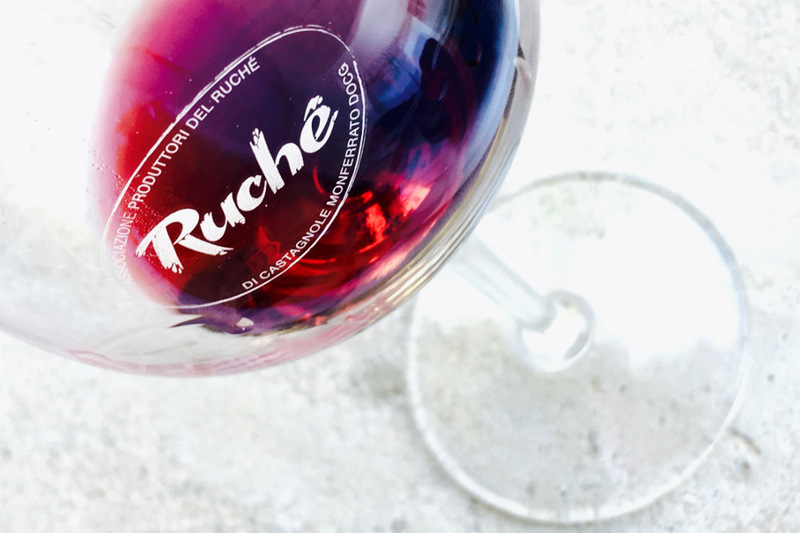 It’s hard to believe: while the official Ruché DOCG appellation is just 7 years old (or, better say, young), there are people who have been making wines from this grape for more than 30 years now. Thanks to these producers Ruché is coming to show the world something different — fresh, spicy, vibrant wines unspoiled by the oak aging, encapsulating the aromas and soul of this unpaved territory with fragrant notes and deep taste. Arriving from Asti is like accompanying the character of Leonardo Dicaprio to the famous Thailand beach, the remote secret place beyond the reach of a common folk. “The beach” of Monferrato consists of evasive rolling hills planted with Ruché vines — there are just 136 hectares of those within several communes surrounding the town of Castagnole Monferrato. And now you’re wondering what’s the of “beach” of Monferrato tastes like? Well, it’s nothing like a snake’s blood. It’s bright, it’s floral, it’s deep, the wines coming from 20-30-year-old vines are showing great drinkability and bring tons of freshness and pleasure. And, yes, you have to spend some time with the Ruché producers to hear the word “terroir”. Clay, sand, limestone are all mixed together in different subzones of the appellation and waiting yet to be discovered by the world. I tasted the terroir and I’m convinced. Now back to you. You just have to find your own, unique, inspiring bottle of Ruché.